I wouldn’t call myself a big fan of Trigger. I absolutely love a lot of productions done by their predecessors at Gainax, but once a large portion from that studio quit to start their own company, I failed to get into any of their few offerings. While they could get crazy with bombastic animation, vibrant art and zany humor, neither Kill la Kill nor Kiznaiver grasped me as much as I hoped to; the former always felt like a pale shadow of director Hiroyuki Imaishi’s magnum opus Gurren Lagann and I was left underwhelmed by its conclusion, while Kiznaiver had an interesting concept but eventually got me to drop it two episodes in… Which I plan on completing at some point. 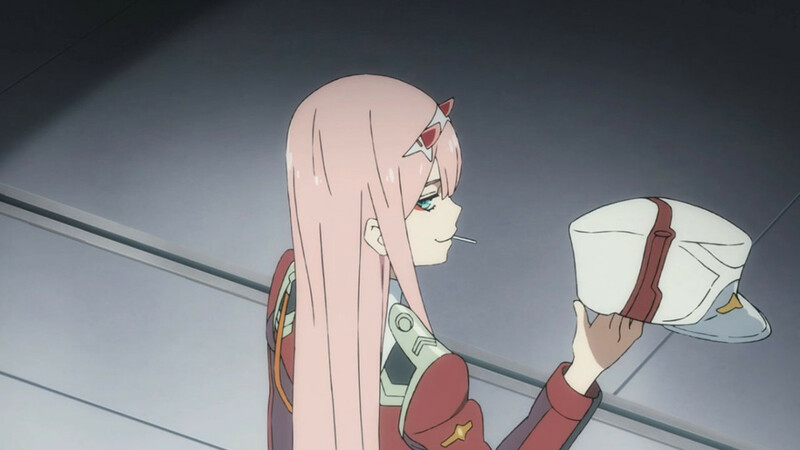 Even with 2018’s Darling in the Franxx, their biggest project at the time, I didn’t have an easy time as it fell to the same pitfalls as its forerunners: a series that can be narratively exciting and visually stunning but at the same time is inconsistent, melodramatic and messy. On the other hand, the studio’s other 2018 anime, SSSS.Gridman, proved to be one of their better works. Little Witch Academia was a show I picked after being recommended for it especially due to my mixed opinions on Trigger. 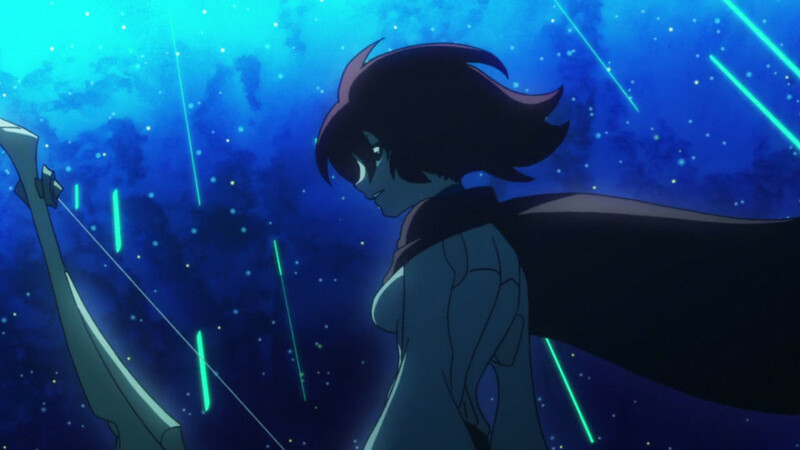 A far lighthearted affair than Trigger’s other major outings, and notable for being evolved from two stand-alone OVAs released in years prior, LWA was tasked with proving me if Trigger is merely a shell of their former prodigy or not. Now before delving into the review, let me just clarify that this review focuses only on the television series, not the OVAs, but consider the fact that everything I might say about the series can also apply to them. So without any further due, let’s talk about 2017’s Little Witch Academia. In a world similar to ours but powered with magic, Atsuko "Akko" Kagari grew up idolizing a witch called Shiny Chariot, a once-famous stage performer whose shows inspired Akko to become a witch just like her, despite the fact that she comes from a non-magical family. This leads to Akko admitting into Luna Nova, the same witch academy where Chariot studied. On her rocky way towards the academy, she meets and befriends the reserved Lotte and the snarky Sucy, and later gets into rivalry with Diana, Luna Nova’s most promising student. And in Akko’s adamant refusal to give up and lag behind her peers, you can sure that shenanigans are bound to happen. Oh, and of course she finds the Shiny Rod, an incredibly powerful wand that originally belonged to Chariot. 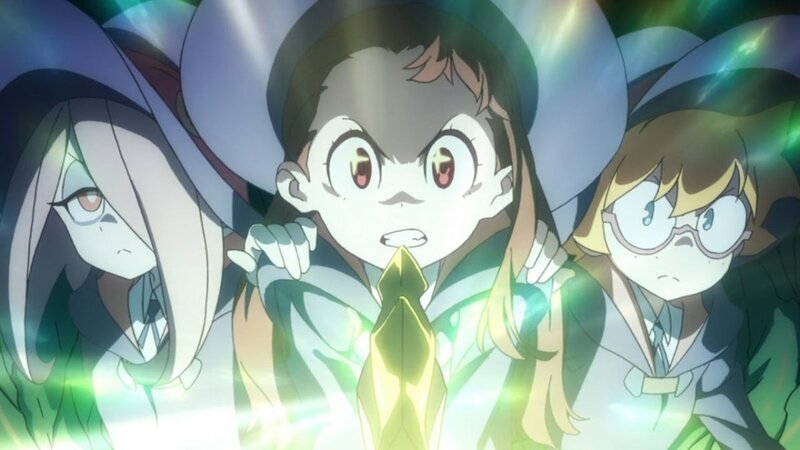 While there is a bigger plot for Little Witch Academia, and we will talk about it in a few paragraphs, the strength of the series lies in its more episodic adventures and zany scenarios. 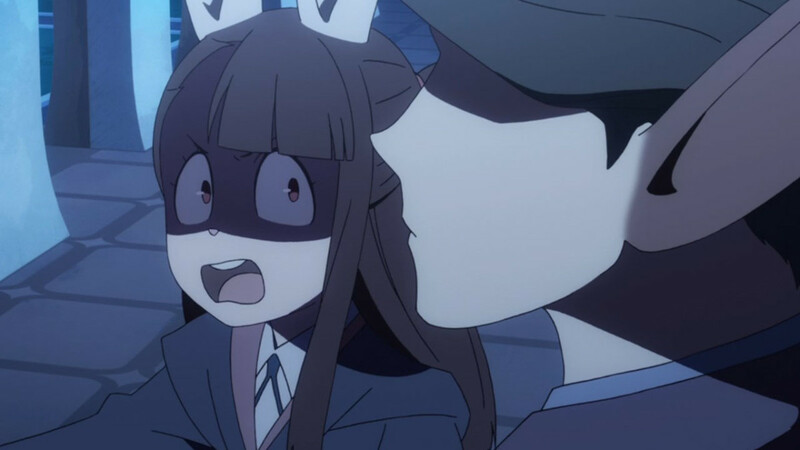 Akko is a bratty and a problematic student, to say the least, and every time she attempts to prove herself, you can bet your money that it won’t go as she thought it would. 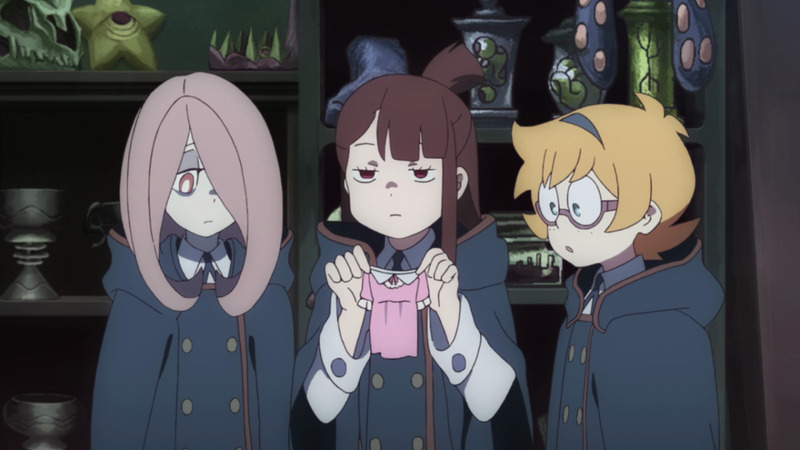 Akko’s misadventures can be anything from sneaking on detention with Lotte to meet the latter’s favorite author, to entering Sucy’s mind after she fell comatose due to a mushroom, to accidentally resurrecting a deceased soldier who goes on to terrorize the nearby town while looking for an opponent. The sheer variety and absurdity of the accidents Akko gets into makes for insane amounts of fun. The series emphasizes more on character reactions and cartoonish incidents over dry humor or vulgar jokes, and while I rarely ever bursted laughing at the unfolding insanity, LWA always put a smile on my face. No, seriously; if there’s one word that can perfectly describe LWA, it is “fun”. The world of the series may not be the most original or realized out there, but it brims with that sense of magic and wonder not unlike the first few installments in the Harry Potter franchise, but it’s only better because of how wildly colorful it can get. Every episode left me with a wide smile that compelled me to start the next one right away. The series embodies the concept of pure, childlike fun to the fullest, and its humor really feels like it can appeal to both younger and older anime fans with the series’ bombastic yet sincere execution. It leaves you feeling that the skies are the limits and even they can be broken as nothing is impossible in the world. At least until the second half. I want to clarify that I don’t find the series’ second half to be bad, not at all. It is still an incredibly addicting ride of pure fun and even more explosive adventures for Akko and the girls to take on, and it even develops the characters of some of Akko’s friends. 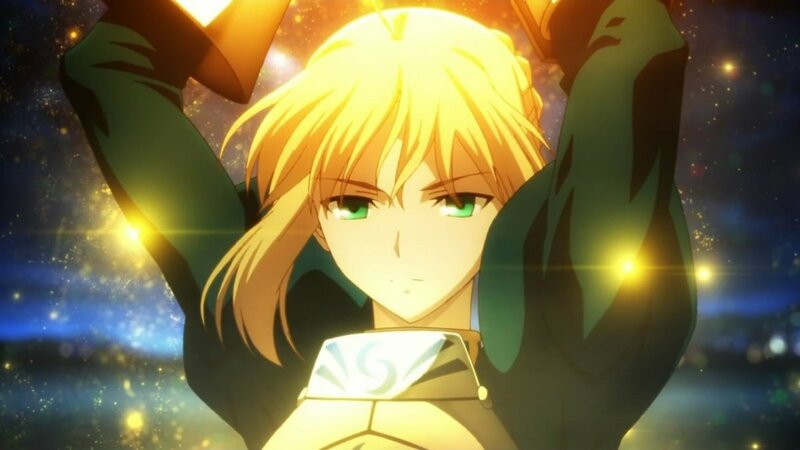 The problem lies in the fact that it is at this point where the series introduces - or rather, brings to the center - an overarching story that has been teased since the first episode. While there are still some episodic adventures here and there, the vast majority of time is given to expand on that arc and its backstory. The lighthearted nature of the series is toned down in favor of character drama and emotional impact -- which is by no means badly-written or directed, as it does manage to play on your heart’s strings and leave a good impression -- but the overall build-up to the aforementioned overarching arc is shaky, and the arc itself is just a little too silly and goofy to take seriously, revolving around the decline of magic in the world. While not as apparent or severe as previous shows, it still falls into the common issue most Trigger shows have; rapid escalation of the stakes with world-ending threats. Granted, LWA gets a hold of itself quicker than most, and results in a fairly satisfying conclusion both to the main series and the character developments of (most of) the main characters, but it crumbles under further inspection. I’m not against an overarching arc to tie your series together, but in LWA’s case it really feels shoe-horned and poorly planned-out, overly simplistic and too goofy (a soccer game causing civil war? Really?) for its own good, in a series that until then, didn’t really need much of a tying saga to tell attractive adventures. It sours an otherwise stellar series, and while it does absolutely nothing to make me stop wishing for a continuation, I do hope that a sequel series will either plan itself out better, or avoid an umbrella saga altogether. As with every great anime, the characters are the heart of Little Witch Academia, which features one of the most diverse casts that I ever seen in an anime; aside from your Japanese protagonist, you have characters originating from England, Iceland, the Philippines, Germany and Russia, and these are just a few examples. For many, Akko will be the thing that either makes or breaks the show, and for me it’s definitely the former. Her pure, childlike and enthusiastic desire to succeed and become a great witch just like her idol Chariot is a very relatable and understandable feeling that resonated with me as she kept chasing her dreams. Her constant failures and subsequent refusals to give up made her a very sympathetic protagonist while also retaining a more sensitive side when the series reaches its emotional peak. Akko’s companions Lotte and Sucy also grew on me; Lotte’s soft, timid behavior and Sucy’s snarky, almost mean-spirited attitude give them a great contrast to Akko’s joyful hyperactivity, and the friendship the trio build is quite endearing. The two girls slowly grow from merely tolerating Akko to downright treasuring her as a friend and being willing to risk themselves for Akko’s own ambitions. But there are two characters with whom Akko shares a much closer relationship. Professor Ursula - the one teacher who not only cares about Akko, but also has faith in her abilities - is Akko’s mentor, and unknown to her, the covert identity of Shiny Chariot herself. Unlike most mentor characters in anime, Ursula is not perfect; she is clumsy, uncertain and regretful, haunted by her past - and is a believable human character through and through. 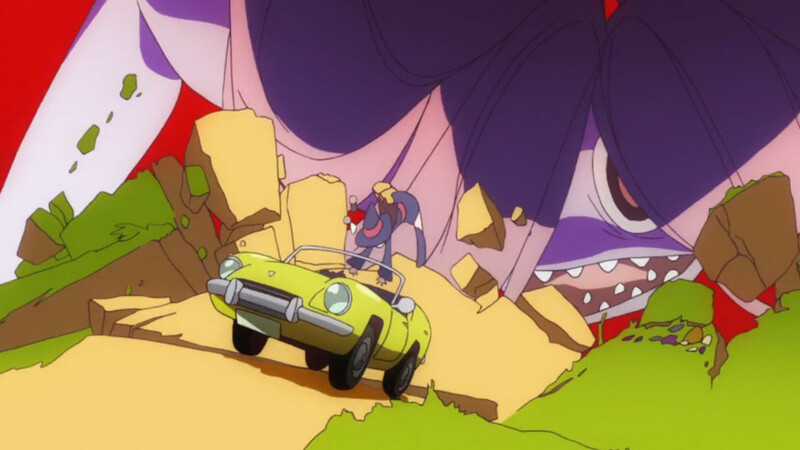 Akko’s bond with Ursula is by far among the series’ best aspects, providing an organic growth for both characters, and even with the myth arc kicking into high gear, it remains LWA’s best-written plotline due to how emotionally satisfying it is, and the boiling point prior to the resolution - episode 23 - is one of either Trigger or Gainax’s best stories to date. The final main character is Diana Cavendish, an English student at Luna Nova and the school’s top scoring witch, which puts her at odds with Akko, who represents a lot of what Diana is not. Among the things I love about her character is the fact that she is not exactly an academic alpha jerk, something which was more apparent in her original characterization in the OVAs. She can be bossy and confident, but she is also humble and down-to-earth, and as the series continues she also develops a friendlier personality and eventually even becomes Akko’s friend. By the time of the second half, both Ursula and Diana become central figures in the story. 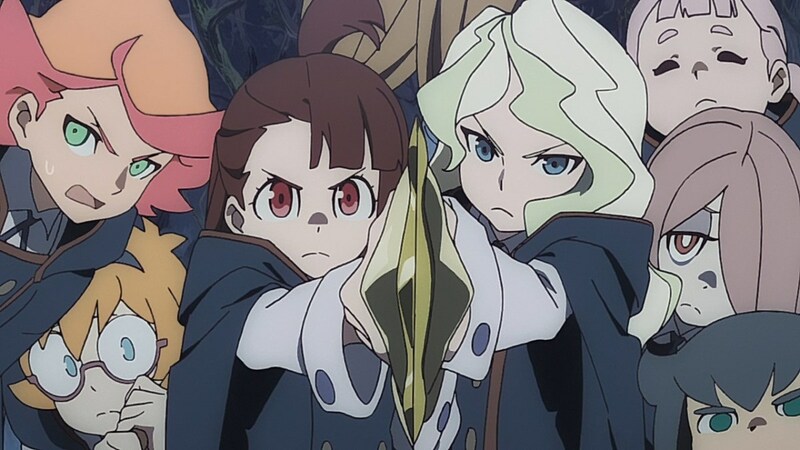 Alongside Akko, their development drives the plot and for all my criticism against the overarching story, its careful treatment of Akko, Ursula and Diana as the protagonists is outstanding; Akko slowly manages to prove everyone that she has the talent and skill to become a great witch and bring joy to people; Ursula accepts her past mistakes as Chariot and becomes confident in herself once more; and Diana warms up towards Akko to become an active member of her friends circle. Unfortunately, this also comes at the cost of Lotte and Sucy’s own development and characterization. 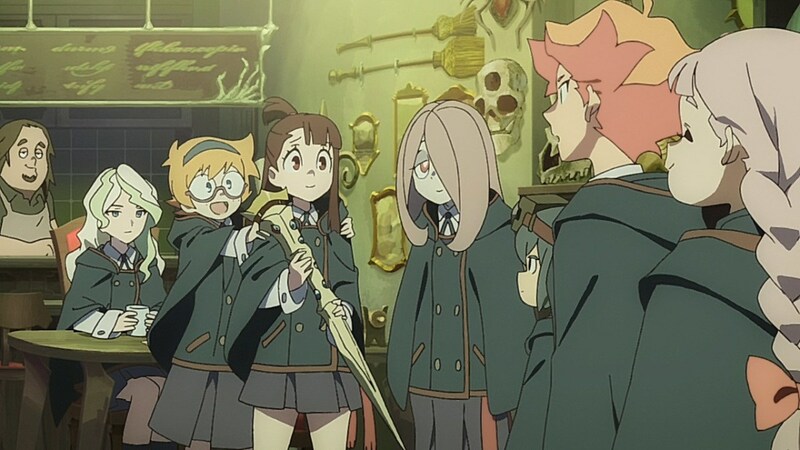 I love their characters so much, but their roles and importance sharply decreases to the point of them getting sidelined not only for Diana and Ursula, but also for the sake of other supporting characters and even other students in Akko’s friends circle; hell, Lotte even ends up being a minor character in her own damn character-focused episode. It pains to see them both losing relevance so quickly despite being advertised as major characters, and if a second season would occur, I hope both girls would get more things to do. 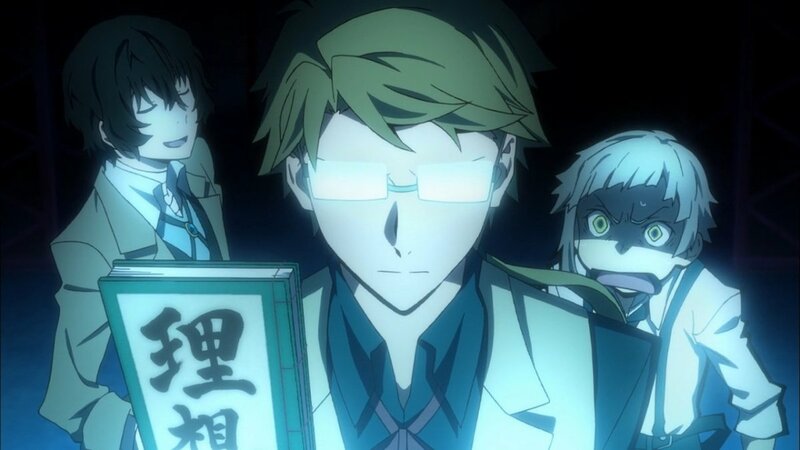 Now as is the usual with Trigger, the supporting cast is fairly large, but a good chunk of Luna Nova’s various students, teachers and associates get time to shine. A good example would be the trio of Amanda, Constanze and Jasminka… Well, maybe not Jasminka aside from funny moments, but Constanze and especially Amanda get enough focus scenes to deepen their characters, and they manage to quickly establish themselves as serious fan-favorites. While primarily female-led, the cast also includes a handful of male characters, the most prominent being Andrew. Overall, I think he’s an interesting character; originally meant to just be a love interest for Akko, or Diana, or both, I’m glad Trigger avoided this generic subplot to make him a growing friend and confidant to Akko, and whose initially pessimistic standpoint on magic gradually decreases as he realizes the charm in Akko’s dreams and wishes. Their buddy-buddy relationship is just so fun to watch. And finally, we have Croix Meridies, a new teacher in Luna Nova and one who is connected to Chariot’s past. Now, it’s quite easily to tell that Croix is a shady individual, and indeed she is the series’ main antagonist who is introduced during the second half. I’m not really sure what I think about her as a character; on one hand she is the driving force of the series’ narrative and the reason for the darker atmosphere, of which I’m not a big fan of. On the other hand, I can’t deny that her chemistry with Chariot is surprisingly touching, and her motivations - while somewhat petty - are still not blandly black-and-white as I’d expected them to be. So she’s really a mixed bag as a character, and I won’t deny that her involvement can soil the series for some. I’m not a particularly big fan of Trigger’s animation style, at least not when it comes to their more action-oriented series like Kill la Kill and Darling. They tend to be well-known for their off-model moments and shots with very limited animation, maybe even some noticeable CGI scene here and there. I often appreciate smart or unconventional art changes, but to me it always felt cheap and inconsistent rather than truly artistic. Little Witch Academia is a different case altogether. Unlike other products by Trigger, LWA is more comedy-oriented than action or drama, even though it has good doses of both. Because of that, any instances of the aforementioned issues that I pointed out feels right at home if and when it happens. It lends itself for the scene rather than hampering it. And the best thing is that LWA is far more consistent than any of Trigger’s other shows. When off-models or cheap, low-quality animations happen they don’t take out of the experience, but for the most part the series just looks incredibly fluid and kinetic in ways that I haven’t seen a Gainax/Trigger production that does it this well since 2007’s Gurren Lagann. Visually, LWA is simply a treat for the eyes. Character designs are cute and appealing with noticeable differences between each other, backgrounds are highly detailed, lifelike and grandiose, and the artwork is bright, crisp and eye-popping. The series generally looks like what you’d expect from a Japanese Saturday cartoon, only with a much higher budget. And then we have the actual animation which is Trigger at its absolute best. Bright, vivid colors that light up the screen in wild, different shapes and smooth, ever-moving animation make LWA such a beautiful and exciting ride. And this doesn’t go on to how jaw-dropping many of the shots are, with creative camera angles and stylish cuts that shape into vivid and explosive action sequences that leave you awed at how it can be topped next episode. It’s probably to be expected, but Little Witch Academia’s soundtrack is very reminiscent of both western cartoon comedies and Disney-esque fairy tale movies from the 50s-70s era. It places heavy emphasis on orchestra, trumpets and strings, with some with deliciously triumphal pieces such as Chariot’s theme. I’m happy to know that Michiru Oshima is still a great composer; in case you don’t know, he is the same guy who composed the soundtrack for the original 2003/4 Fullmetal Alchemist anime. 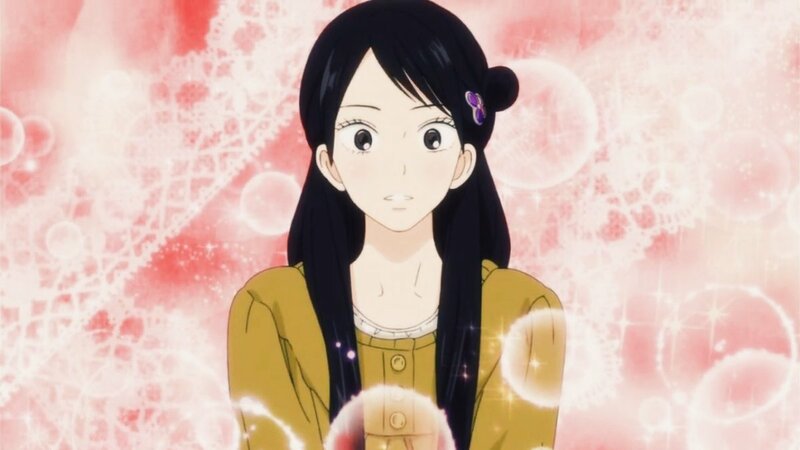 The same goes to the opening themes, both sang by Yurika Kobayashi and are her first works within the anime medium; “Shiny Ray” by Yurika is a lovely little song that starts off calmly before finishing a beautifully hopeful note, whereas “Mind Conductor” is a much faster-paced song with a spunkier attitude not unlike Akko’s character, which made me love this opening more than the former. Meanwhile, Yuiko Ohara was in charge of both ending themes; first opener “Hoshi wo Todoreba” is the stronger one out of the two, although the second opener “Toumei na Tsubasa” stands out more for due to its gorgeous minimalistic animation sequence. And now let’s talk about the English dub. Oh, the English dub. Little Witch Academia boasts one of the best English dubs that I ever had the pleasure to watch. With strong, emotive and natural voice works, I would say that it is one of my favorite English dubs in recent years, alongside the dub of My Hero Academia. You have talent such as Erica Mendez as Akko who is the perfect match for the character, Laura Post’s classy performance of Diana, Rachelle Heger as the sarcastic Sucy, Stephanie Sheh as the timid Lotte, and Alexis Nichols as the husky-sounding yet adorably compassionate Ursula. And those are just the main characters. The supporting cast extends to such actors as Marianne Miller, Laura Stahl, Tara Sands and even Lucien Dodge, not to mention a slew of slightly less known actors and actresses who all capture the essence of their roles perfectly. As I said in my review proper: if there is one word that can describe Little Witch Academia perfectly, is that it’s fun. Just like its wondrous and visually stunning setting, Little Witch Academia is exploding with eye-popping animation and imaginative adventures that will make anyone’s jaw drop to the ground. While its second half considerably meanders due to the inclusion of an ultimately thin overarching arc, Little Witch Academia remains an extremely enjoyable ride that left me grinning at the screen time and again. Little Witch Academia is my favorite Trigger series thus far, and a damn strong addition to the comedy genre in anime. It’s a series rich with thrilling adventures, instantly likable characters, vivid animation and an extremely well-acted English dub. 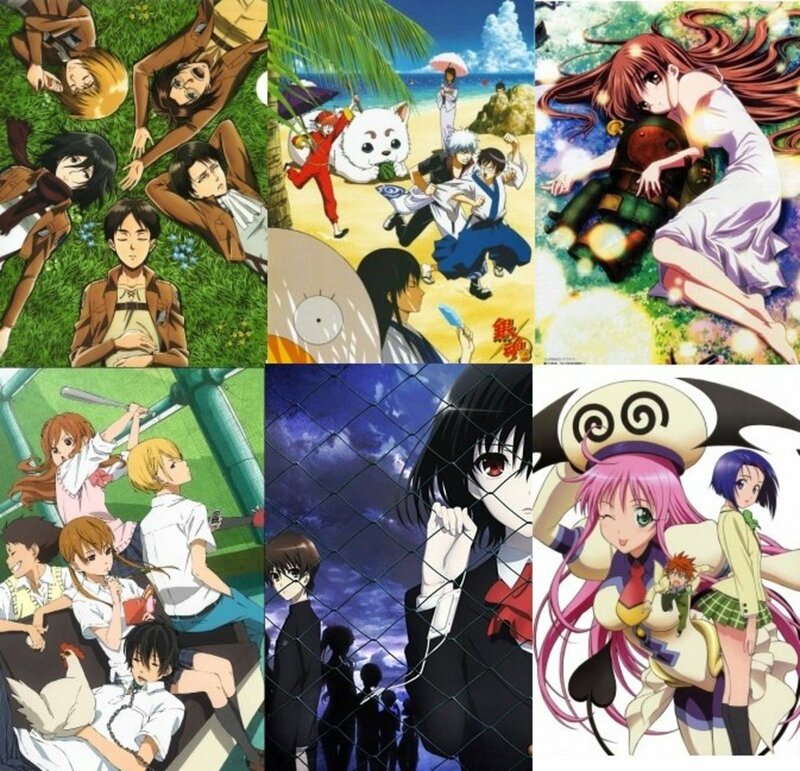 At its very best, it’s one of the most unique and exhilarating anime around, in spite of an admittedly generic setting. And even at its very worst, it’s still capable of being both fun and touching. Even my gripes with the narrative’s final direction can’t stop me from wishing to see Akko and her friends again someday, because this series is certainly something magical. I'm not sure who is the worse roommate; Akko or Sucy? The aforementioned and similarly named My Hero Academia comes to mind, especially due to similarities between both Akko and Midoriya's characters, as well as their friendship and development with an older mentor character. Plus, MHA takes from the same page as LWA when it comes to bombastic sakuga-filled action sequences. The second series is Kaleido Star; while that series has a much more subdued fantasy element, Star also focuses on similar themes such as friendship, overcoming hardships and striving to become what you want. It's not as pretty-looking or comical as LWA, but its affable characters and heartfelt story make it a good alternative.